We share our knowledge so that others can join us in supporting and promoting young people’s mental health. We run a variety of training courses to give people the confidence, knowledge and skills to support young people’s mental health. We draw on fifty years experience of supporting young people and a unique take on mental health to offer engaging, relevant and practical training. We currently offer seven training courses. If you are looking for a broad introduction to mental health then we suggest our first programme. You can either attend one of our open courses at our offices in central Bristol or we can create a tailored version for your organisation and deliver it at your offices. Please see below for further information about each of our training courses, including fees, dates and booking instructions. We can also support you to establish our evidence based mental health projects in your organisation. These include Freedom, offering peer support for LGBTQ+ young people and Mind Aid for young people struggling with feelings related to stress, anxiety, low mood, or depression. At OTR we believe enabling young people starts with recognising their capabilities before their vulnerabilities. We also believe that one of the best ways to build more empowered and resilient communities starts with addressing our own mental health needs, as adults within those communities, thereby enabling us to role model more positive, healthy, solution focused ways of maintaining good mental wellbeing. This workshop will help you gain a better understanding of what is meant by the term “mental health” and how to promote it in children and young people as well as yourself and your surrounding network. Resilience has become a real buzzword over the last decade and it can be challenging to make sense of all the theories and approaches out there. At OTR we’ve explored a whole host of resilience building models that we believe offer practical, real-world techniques and approaches to support our human capacity to navigate adversity. Drawing on our first hand experience of delivering these we’ve cherry picked the ones found to be most effective in supporting positive change. Whether you work with young people or simply want to discover strategies for boosting the resilience of yourself or those around you, this one day course is for you. Cognitive Behavioural Therapy (CBT) skills have a strong evidence base and can be useful tools for supporting young people in challenging negative thoughts and/or behaviours. The principles and techniques of CBT can be drawn upon in a variety of contexts including work, relationships, school and home life. This course will introduce you to the core concepts and skills of CBT, aiming to provide you with the confidence and competence to draw on them to empower and bring about positive change in both the young people as well as yourself and others in your surrounding networks. Gender and sexuality are two of the most powerful organising principles in our society and as such require exploring and understanding in an empowering and informative way. This session will explore the increasing diversity and fluidity of gender and sexual identities among ourselves and those we work with, and will give participants new insight and confidence in understanding how these fundamental aspects of our identities shape our mental health and wellbeing. At OTR we don’t like to call ourselves “experts” and refute the idea that only we can promote and support young people’s mental health. However, through working in the field for over 50 years we have picked up a variety of simple, practical ways to enhance the mental wellbeing of young people. Because we know the positive impact that they can have we want to share our collection of tools, tips and techniques. This session is aimed at those who work directly with young people. The session will give you an insight into what tools our Mental Health Practitioners have found most useful over the years and how they can be adapted and utilised as ‘brief interventions’ in your setting. Mental health services have historically played an important role in social control and the policing of difference in society. Race in particular has a powerful and emotive history in this regard. This is a thought provoking and challenging session for anyone working in the mental health field in a front-line role. This session will explore race and culture across three interrelated levels – in our personal identity and practice, in organisational cultures, and in societal structures. This session goes beyond the idea of ‘anti-oppressive practice’ and participants will learn how to engage positively with these differences in ways that are not defensive but unlock their therapeutic potential. Have an accurate and helpful working model of culture drawn from anthropology. Recognise how culture and ideological power shapes social structures and the field of mental health(care) more generally. Understand culture and power in relation to teams, institutions and models (service designs/modalities/client experience). There is no research to show that talking to someone about their thoughts of suicide or self-harm will increase their risk, yet all too often people in positions to provide support struggle to open up such conversations, in case they make matters worse or fear they do not have sufficient expertise to intervene. Free from complex diagrams and professional jargon, this workshop will look at practical, creative and person-centred ways of talking about and working with self-harm and suicide. What better way to work towards a more sustainable and enduring mental health approach in your youth setting than to attend one of our Resilience Lab Train the Trainer programmes? For ease of access, we offer an in-house Resilience Lab Train the Trainer where we can come to your setting and deliver the programme to larger groups of staff (up to 20). Alternatively, you can attend one of our open training programmes and benefit from the opportunity to network and learn from other professionals working in similar fields. A piece of consultancy work and any necessary follow up will be included as standard to ensure any hurdles or challenges you may face in the implementation of this project in your setting are overcome as smoothly and effectively as possible. 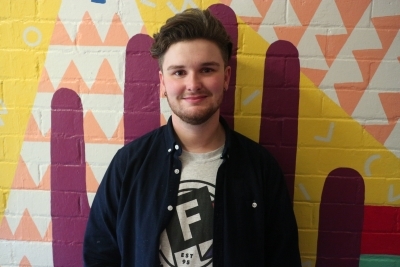 Henry joined OTR in 2015 having spent time working in community development for Terrence Higgins Trust. An activist and passionate advocate for LGBTQ+ rights, Henry has a degree in sociology and is also a member of the Independent Advisory Group for Avon & Somerset Police. He oversees all our work on gender and sexual diversity here at OTR. Charlotte joined OTR in 2008 as a Support Worker. She is trained in Brief Solution-Focused Therapy and is the brains behind Resilience Lab, having conceived the idea and designed the project back in 2013. 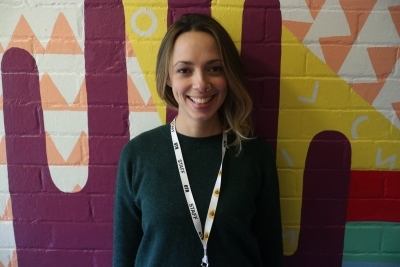 Today, Charlotte oversees all our health promotion work with young people and leads the Lab’s ‘Train The Trainer’ initiative, providing practical guidance for fellow professionals across Bristol and South Gloucestershire. Cat joined OTR in 2014. She is a registered Occupational Therapist with training and skills in Positive Psychology and Brief Solution Focussed Therapy. Cat began her working life in the NHS, including in the adult mental health crisis team for Bristol. She is an experienced trainer and consultant in a wide variety of areas of mental health and has also developed a successful business focused on mental wellbeing, providing coaching and personal training among other services to her clients. 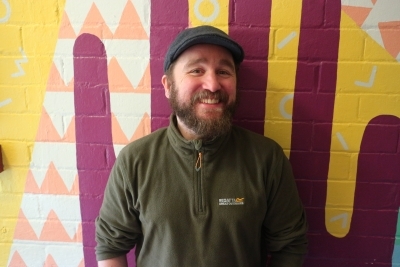 John joined OTR in 2010 and oversees our therapeutic service, which offers a wide range of 1:1 and group therapies to thousands of young people each year. John balances his time leading the service, delivering 1:1 and group therapy and facilitating mental health training. John is an accredited therapist and supervisor with post-grad CBT training. 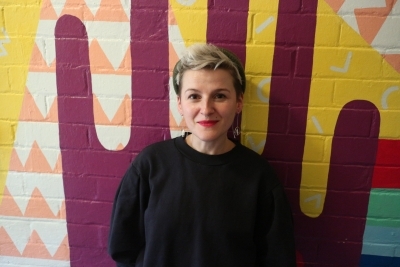 Marie joined OTR in 2014 and has experience working in and managing services for young people with eating disorders, young people in mental health crisis accessing A&E, and in schools and community settings. 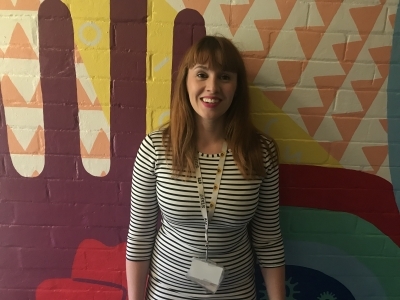 She now leads our schools and outreach team, who deliver a diverse range of therapies and preventative work for young people and professionals across Bristol and South Gloucestershire. "Excellent session and really well delivered with some practical and tangible approaches to mental health"
"Very informative and has given me confidence"
"The training provided a great mix - 'deep' content, discussions, and practical tools and info"
"The session was really open and OTR's trainers were very willing to listen. A very positive vibe!"